The newsletter will be issued around three or four times a year and will inform you about important updates regarding the conference, like new speakers, agenda updates, etc. Additionally we will include interesting activities of the CEDIC Team like astrophotography journeys (CEDIC Team goes ...) and other information. 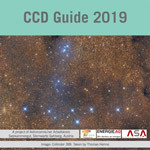 Every year the CCD-Guide team publishes a new DVD, which assists astrophotographers in planning their imaging projects. Besides a huge number of reference images CCD-Guide contains a software to find images, to view images and to obtain all necessary data. 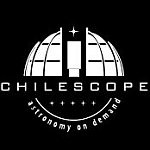 The newest release contains more than 4,300 reference images + 1,600 archive images of 52 astrophotographers.